Irving H. Shaw, 91 – Herman Meyer and Son, Inc.
Irving Howard Shaw, of Louisville, KY, passed away peacefully on April 12, 2019. He is survived by his wife of 68 years, Happy; sons Richard (Kimberlyn Leary) and Jon (Maria), and grandchildren Stephanie and Blake. He was born in Brooklyn, NY to Joseph and Bessie Shafransky. After serving in the U.S. Navy on a variety of attack ships in the Pacific and brief postings in and around Shanghai, Irving returned home to attend Brooklyn College. His goal was to practice law but life lead him down a different road. In 1949, Irv was recruited by a family-owned garment sales company and moved to Atlanta. He created many innovations in the children’s clothing industry, and on one particular sales call, showed his redesigned pair of baby boy’s underwear to the buyer at Atlanta’s largest downtown department store. Recognizing this beautiful woman from Temple services the previous Friday night, he asked her out. They both realized it was love at first sight: he asked her to marry him on that first date. The fact of the meeting over baby underwear was appropriate since they married the next year, and Richard and Jon were born just a few years after. Shenandoah Life recognized Irv as innovative, and hardworking with natural sales ability, and recruited him into life insurance sales force a few years later; not long after, they asked him to run their agency in Atlanta. In short order, he quickly moved up the ranks of the insurance industry as State Mutual Life recruited him to run their very large 100-year old Louisville office in 1961; a few years after, Manhattan Life recruited him to run their Louisville agency. 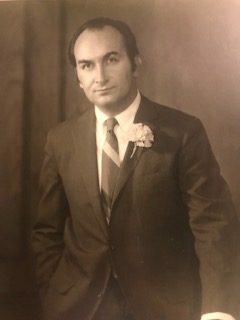 A tireless innovator, always a bit restless, and frustrated by restraints imposed by the home offices of the various agencies he’d run, by the mid-1960’s Irv began to think of managing an agency that was solely his own. His creativity led him to an innovative idea, “other products can be wholesaled, why not life insurance?” As complicated as this feat seemed, Irv devoted his marketing and sales brilliance to change the then-stodgy life insurance industry, and create a whole approach to better adapt to post-war America: in 1967, he founded the life insurance brokerage that later became Shaw American Financial Corporation. During his career, Irv was involved in all sectors of his profession. He was a member of a variety of professional organizations, founded and co-authored many of them, and held every office on many of their boards. He created or helped create Life Inc, LifeMark, the Risk Appraisal Forum (RAF), the National Association of Independent Life Brokerage Agencies (NAILBA) and the Kentucky Association of Health Underwriters (KAHU). Every one of these organizations serve the life insurance industry today, and most life insurance products sold today are placed through a member of one of these organizations. Irv also presided over and held every office in the Kentucky Association of Life Underwriters (KALU), the Louisville Association of Life Underwriters (LALU, now NAIFA), the Louisville General Agents and Managers Association (GAMA), and the Advanced Underwriters. In 1990, he was awarded with a Lifetime Achievement Medal of Honor by the Kentucky State Association of Life Underwriters. In 2002, he was awarded the Douglas Mooers Award for Excellence by NAILBA, with former General Electric Chair Jack Welch making the award. A coveted and prestigious award, it honors excellence in brokerage, and is awarded to the individual most committed to furthering brokerage and independent life brokerage as a distribution system. In his 50s, Irv earned a number of professional designations and degrees: CLU, RHU, ChFC, REBC, and LUTCF. He was often teased by his peers and colleagues as one of the most designated insurance industry executives. Irv was passionate about helping the community. Besides being the former mayor of the City of Moorland, KY, he held chairmanships in numerous volunteer, civic and charitable organizations including serving as president of The Temple Brotherhood, and as acting Scout Master for Louisville Troop 316. He enjoyed bringing joy to others, became a licensed officiant for weddings, and performed many ceremonies for family and friends, including for his son and daughter-in-law, Jon and Maria. Irv was a family man and spent most of his spare time with his family. He loved both Louisville and Kentucky basketball, horse-racing (one of his consortium’s horses won the Indiana Derby in 2008), trips to NY to see Broadway Musicals, Actor’s Theater, learning about new technology, reading and traveling the world with his love, Happy. Besides his children and grandchildren, he loved his dogs more than anything. He and Happy would take their miniature poodles everywhere (to the office, on trips, everywhere!). It was common for many of his friends and family to ask “How’s ‘Pucci’ doing?” when they called. The family would like to express their gratitude for the care he received from Baptist Health Care and the wonderful caregivers from Home Instead. Memorial Services will be Friday, April 26, 2019 at 2:00 pm, with visitation beginning at 1:00 pm, at Herman Meyer & Son, Inc., 1338 Ellison Avenue. The family would appreciate expressions of sympathy be sent to the JCC Building Campaign via the Jewish Federation.